Only SKY Television has all 48 games of Rugby World Cup 2011, and it's all live. With this immense amount of action looming, SKY has enlisted Gunnery Sgt R. J. Cleaver to get the production team 'Match Fit'. 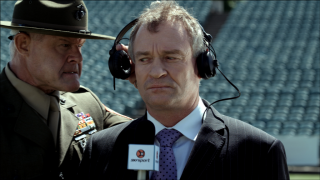 In this fourth installment created again by DDB New Zealand, Grant Fox, (legendary All Black, turned SKY commentator) volunteers for compulsory training.